How to Increase the size of a Linux LVM by expanding the virtual machine disk – In this article the virtual disk that is using LVM is expanded, whereas in this current article we are instead increasing the virtual disk and expanding the Linux native partition. 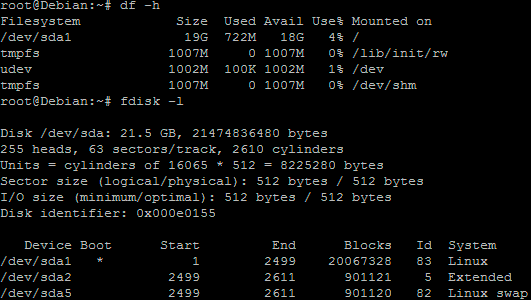 How to Increase the size of a Linux LVM by adding a new disk – In this article a new virtual disk is added to the virtual machine, a new partition is created, the volume group and logical volume are both expanded and then the filesystem is resized. How to Decrease the size of a Linux LVM – In this article the file system is shrunk followed by the LVM, allowing you to reclaim space in the volume group. Important Notes: During the time that the GParted ISO is mounted you will be booted into this live CD rather than your normal operating system, basically meaning that during this process there will be down time from normal server operations. Be very careful when following this article as this process has the potential to cause a lot of damage to your data. If you are working with virtual machines make sure you take a snapshot of your virtual machine beforehand, or otherwise have some other form of up to date backup before proceeding. Note that a snapshot must not be taken until after the virtual disk has been increased in the first step below, otherwise you will not be able to increase the disk until it has been removed. It could also be worth cloning the virtual machine first and testing out this method on the clone. Prerequisites: You will need to download the GParted live CD ISO file so that you can use it later, you can get this here. Throughout my examples I will be working with a VMware virtual machine running Debian 6, this was set up with a 20gb disk and we will be increasing it by 10gb for a total final size of 30gb. Below is an image displaying disk information on the server before we begin. It is important to identify that you are actually using a Linux native partition – as this is what we are extending. As you can see in the above image /dev/sda1 is listed as “Linux” and it has the ID of 83. The 83 hex code shows that it is a Linux native partition, while 8e shows a Linux LVM. For information on increasing a LVM please see the linked posts above. Note that /dev/sda1 is the partition we will be expanding. First off we increase the allocated disk space on the virtual machine itself. This is done by right clicking the virtual machine in vSphere, selecting edit settings, and then selecting the hard disk. In the below image I have changed the previously set hard disk of 20gb to 30gb while the virtual machine is up and running. Once complete click OK, this is all that needs to be done in VMware for this process. If you are not able to modify the size of the disk, the provisioned size setting is greyed out. This can happen if the virtual machine has a snapshot in place, these will need to be removed prior to making the changes to the disk. Alternatively you may need to shut down the virtual machine if it does not allow you to add or increase disks on the fly, if this is the case shut down and make the change, do not power the virtual machine back on at this stage as next we mount the GParted ISO. Now that we have increased the hard disk space of the virtual machines, we need to boot into the GParted live CD to continue, you can download this here. 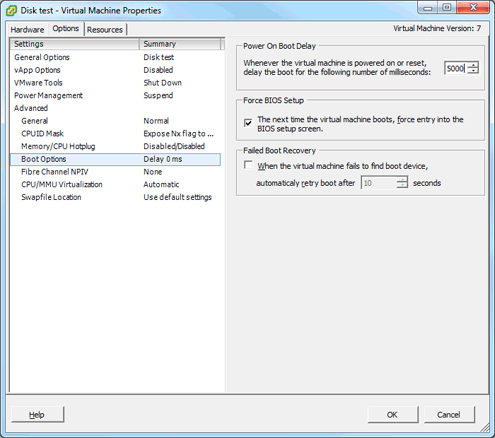 Right click on the virtual machine in vSphere and select “Edit Settings” to bring up the properties. Now we are ready to power on the virtual machine (if your virtual machine was still on, shut down and power on), I have done this using some older versions of GParted in the past and it is worth noting that over time the GUI has changed so the following images may look a little different for you. I am using the current latest version of the live CD, version 0.14.1-1. Once the virtual machine has powered on and you have booted to the CD, you will be presented with the following menu, just press enter to boot into GParted Live (Default Settings). After some time you will then arrive at the following screen, for this I did not change anything and just accepted the defaults by pressing enter. You will then be prompted to select a language, pressing enter defaults to English. Next we select the default option 0 by pressing enter as we will be working with the GUI. Select /dev/sda2 and click “Resize/Move” and you will be presented with the following. This change and all further changes will not yet be applied, you can see the tasks down the bottom of the GParted interface and these will be applied only once you click the Apply button. Alternatively you can click the Undo button to remove a pending change. This time we want to select /dev/sda5 which is the swap partition and select Resize/Move, this will result in the following. You will be able to perform this action straight away if you did not have swap in between /dev/sda1 and the unallocated space, the previous steps were to get swap out of the way in GParted. Note that this may take a while depending on how much of the disk is currently in use and the amount of disk space you are increasing, because a file system check (fsck) is run before the expansion and after it to ensure that there are no issues. I have performed this method on a 400gb server in the past and to increase it 100gb took approximately 5 hours. In this example I am only increasing by 10gb and there is only about 1gb of data on the disk so this took approximately 2 minutes to finish applying. Once the operating system has booted you can confirm that the disk space has expanded correctly. Below you can see that /dev/sda1 is now 30gb in size. With this method we have increased the virtual hard disk drive through VMware, booted into a GParted live CD ISO and expanded the primary Linux native partition over the unallocated space, resulting in overall disk space being increased successfully. The output of that last “fdisk -l” command show the number of blocks in “Linux swap” decreased slightly after making the changes. I saw the same thing in my own testing. Is this a problem? Shouldn’t be unless you really need all the swap space you can get, sounds like you may have accidentally moved the slider over for swap a bit perhaps and lowered the space of it. I was about to follow another guide involving turning off swap, deleting the swap partition and recreating it after repartitioning, but this was a more professional way to manage reallocation of space. Very easy to follow and worked like a charm. Many thanks for a well written article! Very easy to follow and well written, thank you very much! Great tutorial, made increasing the partition size for a Ubuntu virtual machine running in VirtualBox a breeze! I don’t know if this applies to sda, but for other drives (sdb, sdc…), after increasing the size of the disk in vSphere, I skip the gparted step, and just use e2fsck -f /dev/sdX1, then resize2fs /dev/sdX1. This seems much easier than booting off the gparted ISO, etc. Is there any reason not to do it this way? Just a quick message to say THANK YOU, this worked PERFECTLY – first time too. From someone who is not very familiar with a Linux environment I was a bit unsure but this guide was flawless. I’m running VMware Workstation 9 with a Debian install running a Friendica server. It was a single 30GB drive originally, I expanded it to 500GB without an issue. I tried other guides and they all went wrong and it failed to boot (thankfully I had decent backups!) but this one booted first time and sure enough, all 500GB is now available to me. Thank you guy, this is the best guide I’ve found so far and, most of all, you have saved my life!!!! Great post. worked perfectly. Thank you for great details. I was looking for a way to increase my Ubuntu VM disk space and I could do with GParted without deleting the swap partition. There is still some unallocated spaces around the swap partition but the VM is working perfectly. Great article!! It was a piece of cake.. This is great however what if the VM is remote and hosted at a data center by an outside provider. In this case it would require the provider’s intervention or is there any way to do this remotely apart from command line? Thanks. Do you have console access to the VM or any other form of out of band management? If not you may need to get the help of your provider if that access is required. Since I was using VMware player, I didn’t have the boot options. so installed GParted in Ubuntu Linux, run from the terminal, and increased the size. However, I cloned my virtual machine to protect data loss. You are the man. remarkable explanation which has resolved a long term problem with my UBU14. Thanks much!!!! Thanks alot, did this on Kali linux just recently and worked splendidly! Just had to press F2 really fast when booting the VM since it didn’t want to boot into the live CD. And then just adjust so that the boot from the CD is before the hard drive. When I followed these exact steps, I am left 3 unallocated partitions (1, 1.5, 2 MiB’s) for some reason. Annoying, but I left them. Thank you for the thorough guide. Thank you very much. Succesfully enlarged my Ubuntu-server 14.04 VDI in Oracle VM VirtualBox with this easy to follow guide. I have this key behind sda1 wich makes it not possible for me to resize it. Do you maybe have a solution for that? Hi Rachid, what key is behind sda1? Could you please provide some more information about the problem you’re having? Is there another partition on the way? It should be possible to move them around with some work as covered above, perhaps a screenshot of the problem would help. 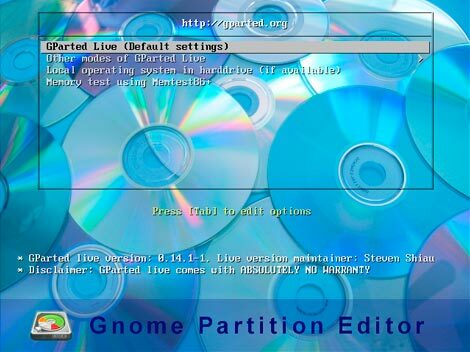 Ah I think that means that the partition is currently in use, so you must have gparted open within your operating system instead of booting from a live CD? If that’s the case, you will need to boot from a live CD and run gparted there, this way sda1 will not be mounted and in use so you will be able to modify it. Alright thnx for the help mate! Great tutorial, worked like a charm! Thank you very much. I just upgraded the HDD in my laptop, went from 500GB to 1TB. Cloned the drive to an external HDD and then cloned that back to the new drive I put in the laptop. I must have missed a step in Clonezilla ’cause I had a 500GB partion what was unused. I followed your instructions, and in less than ten minutes had all the space I was hoping to gain. It might be useful to align it to ‘none’ instead of ‘MiB’ (the last option will cause the unallocated partition to remain with just 1MB). A very clear and understandable article, though. Thanks! Thanks very much!!! I’m sure I’ll be reading this one again. Thanks so much for this, exactly what I needed. Thank you so much!!! This was just what I needed. Very helpful! God bless! Worked great, great image tutorial! Great. Thanks, very usefull tutorial. Amazing! Every few months I’ve tried to do this – and I finally found instructions that work. Perfectly. Kudos! Nice, I generally use sysrescuecd for the same and do it on CLI. It gives me an added advantage of automating the procedure. Thanks for the straightforward steps, this worked perfectly. Hey Daniel, glad to here they worked well for you! Thanks for the tutorial. It helped me to solve my problem. Awesome tutorial! Worked like charm! Even though I figured out boot options on my own, as we have always done with Windows OS in Dual Boot, but still, the link given by Ashlett is good. Firstly you have made a great article to help us expand the allocated space to the drive. It was a breeze till the step where I had to drag the sliders and adjust space to allocate to /dev/sda1. At this stage, when i press the “Apply” button to apply the changes, the process begins but stops when its trying to bring in the 1st change. On expanding to view the errors it indicates issues with ‘xfs_repair -v /dev/sda3’. I have also made sure that the VM is saving no “Snapshots” as you have indicated clearly in the beginning of your article. I am using VMWare Version 11 & my CentOS is a 64 bit OS image. Hey Venky, I’ve not personally gone through this process with an XFS file system yet so the process may differ a little. Based on the message it sounds like there is content in the XFS file system log that needs to be replayed before proceeding. GParted is trying to perform a check on the file system before performing any work, it does this both before and after expansion to find any possible errors. Are you able to still normally boot the system and mount /dev/sda3? If so what happens if you unmount it while booted into your usual Linux based OS and then perform the xfs_repair manually on it? Do you get a similar error or does that work correctly? Please be careful and make sure you have a backup of all data before proceeding! yeah i can still boot into the system. When i try to mount /dev/sda3, it says its already mounted on / or busy. So yes it can be mounted too. umount: /: target is busy. Which is kind of obvious because the system is using the root drive! I can go ahead and re-install centos, but that is more like working with Windows, just restart the OS OR re-install the OS and it all works!!! Couldn’t understand what its saying or if its possible to expand drive size of sda1 directly using xfs commands(which wanna do anyways). If /dev/sda3 is the root file system you can’t unmount it with it running, you could try and boot into a live CD and then perform the required commands, however this would be equivalent to GParted trying to run them as that’s a live CD where /dev/sda3 is not mounted. Next I’d probably try the repair command when booted into a live CD. Thanks a lot friend… it helped a lot.. very clearly explained article.. Worked perfectly on the first time as well. I did this with version gparted-live-0.24.0-2-i586.iso. 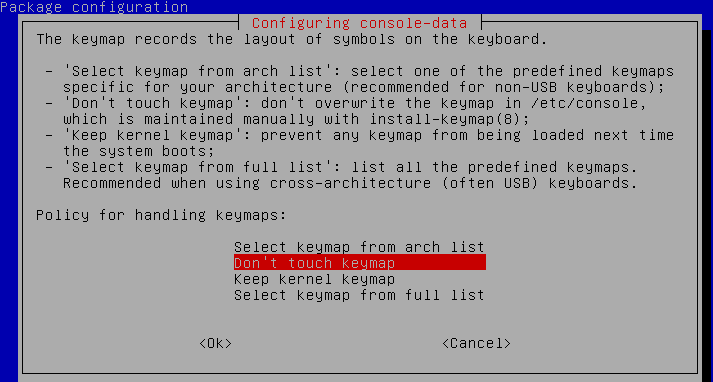 One small thing to note, when trying to go the boot options you may be try different keys (Esc/Del/Fx etc) but if not able to go to it, means after the restart, the keyboard focus has moved away from the VM inside. Just reboot/start VM, and immediately click on the VMware icon while its loading and click the Esc key. It appears for very short time. Thanks! You’re a life saver. 1) increase size of disc from VMware. 7) then extend the primary drive…and apply changes.. Thank you very much, this worked great. Very well explained. Tomas, Your resolution though having “No Downtime”, works only with people haivng vCenter’s and vSpheres and ergo no good for people without the aforementioned applications. So don’t undermine anything as an “overkill”. 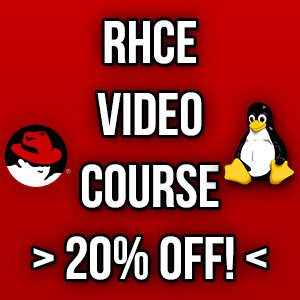 I don’t have / need a vShpere / vCenter and this tutorial helped me out of the situation. my problem is, that the partition i want to increase is on the right side of my unallocated space. you guys know how to fix that? Are you able to move them around at all? Can you provide an image? Hi Jarrod! Being a Noob I was struck here for the last coupls of hours. With all the website (askubuntu, vmware, stackexchange Et al) and million other hits on Google, turning out to be useless, yours this post was the life saver. Thank you so much for posting this beautiful tutorial which literally spoon feeds any noob hurdles out of the way. Kudos!!! Thanks a ton. God bless! Thanks! Glad to hear it helped you out! Double Kudos for this post!!!!! I am expanding my dev/sda1 from 15 GB to 20 GB (adding 5 GB). GParted has been running for 7 hours and is not completed yet. Is this normal? For just 5gb of space, I would not think that that is normal. However with that said I have had to run gparted for multiple hours in the past, though that was for hundreds of gb at a time on a slow disk. It is still running. What is the consequences if I just cancel it and reboot? I’ve not personally done that so can’t say for sure, I’d be careful though as if it’s in the middle of an operation you could end up with a corrupted disk. If you have backups or it’s not an important disk then after this amount of time it’s probably worth cancelling to see what happens. Are there any errors logged in /var/log about it? Although I increased my hard disk in vm ware,unallocated space can not be swapped to sda 1. I did as your advice,but R-click on sda 2 ,all are disable to click “Resize/move”. Could you perhaps upload and link to a screen shot of what you’re seeing? Thanks. I worked with ubuntu 12.04 on hyper v and windows server 2008 r2. Are such resize operations somehow limited for filesystem ? Can I not extend the lvm2 pv to include the remaining Gb ? Perfect tutorial..!!! You save me after many days of searching for this perfect one.God Bless you forever and ever…!!! and thanks a lot and a lot…!!! Amazing! this hero deserves a medal! Brill! Just what I needed! Wish Microsoft was this clear on instructions. I did not use the gparted iso, but installed gparted locally. There is no big risk losing your data — hey, its a virtual maschine! After increasing the size using the gparted iso , am not able to boot, it says meta data corrupted. Absolutely useful and very well described!! AWSOME ! AWESOME! Thank you! Worked perfectly for me! Easy to follow, worked like a charm. Thanks !